We’ve taken billboards to a higher level by making them truly unique! Add dimension to your campaign with 3D props that POP! 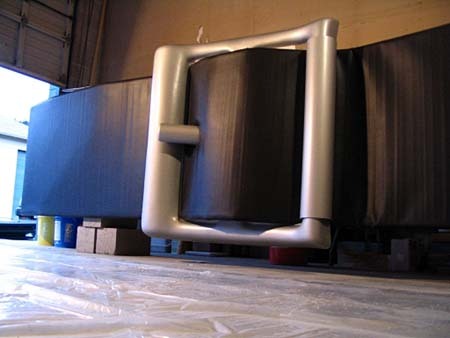 We work closely with engineers and billboard installers, providing instructions and going on site as needed to ensure that the props are safely installed. We will also create your own private project website showing our progress each step of the way. Crispin Porter & + Bogusky commissioned us to design and fabricate 18 super-sized luggage tag straps and buckles. 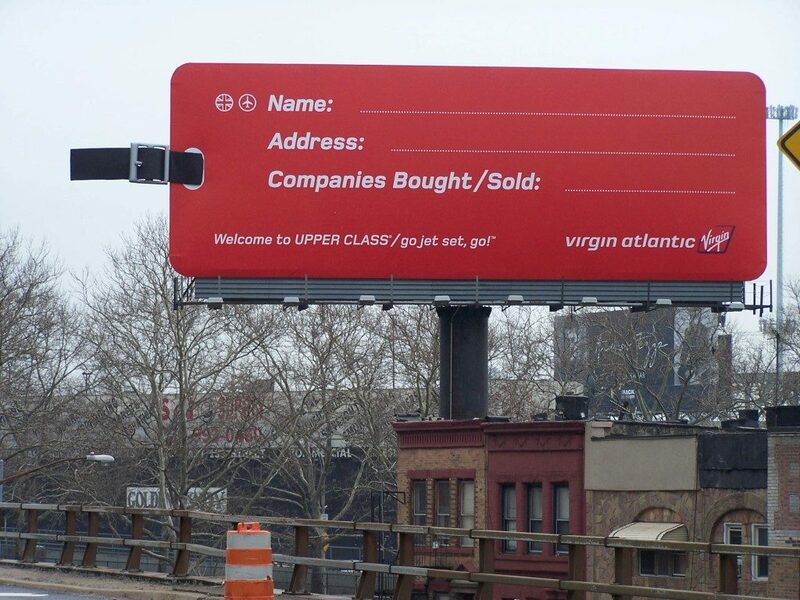 The Virgin Atlantic billboards with the 3D props would be seen in New York, New Jersey, Boston, and Southern CA. Design and construct 44 large-scale furniture props for an IKEA outdoor advertising campaign in just five weeks. Make each billboard look like a huge price tag with the furniture pieces hanging from the “tag” in bi-coastal markets including New York, New Jersey and California. 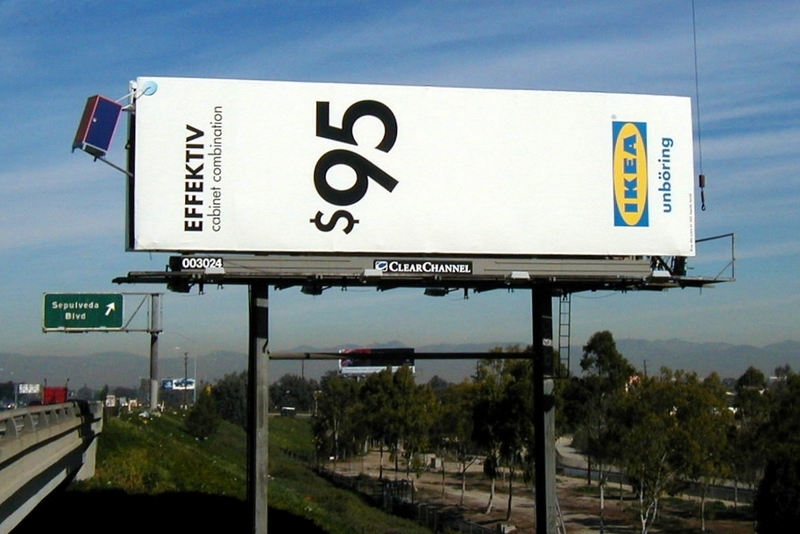 This IKEA outdoor ad campaign featured large-scale furniture props made by us, including cabinets and chairs, hanging off billboards designed to resemble huge price tags. This ad campaign won Best of Show at the Outdoor Advertising Association of America’s 62nd annual Obie Awards. 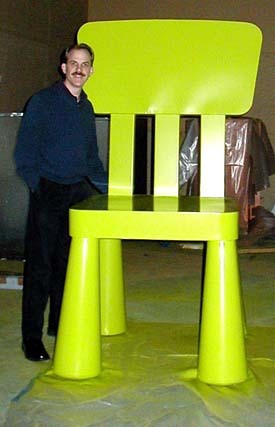 The Mammut Child’s Chair was one of the three furniture pieces selected for the campaign, shown in the concept image. 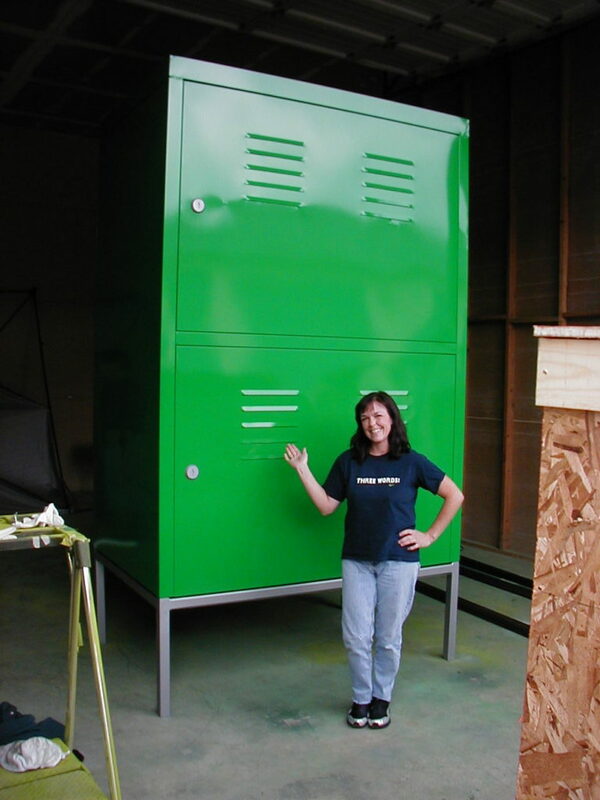 Most of the billboards were 14 ft x 48 ft.
We created a 10 ft tall PS Cabinet for an IKEA billboard in Times Square, NY. A civil engineer certified the design to ensure that it would be safe. 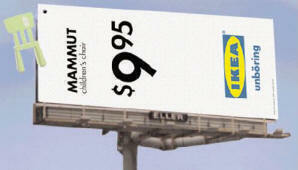 Need a prop for your outdoor billboard ad campaign? Send us a message or call us at 425.260.8949.